Home | Blog | What Is the Average Life Insurance Cost? You Are Here: Home / Blog / Life Insurance Blog / What Is the Average Life Insurance Cost? Life insurance can significantly lower the expenses your family will shoulder when you pass away and leave them behind. 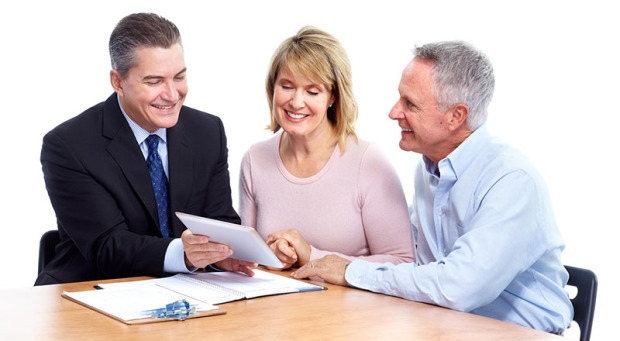 Keep in mind that there are different types of life insurance and each one has its own advantages and disadvantages. Likewise, you should take note that the costs of life insurance policies may vary based on several factors. Age is perhaps the most crucial factor in determining the rates of your premiums. In general, the older you are, the higher your premiums will cost. This is because life insurance companies typically bet on your life expectancy through your age. They think that the younger you are, the less likely you will get involved in an accident or die due to various health problems. Age is basically a crucial factor in determining your mortality. Nonetheless, your health is also a very important factor to consider. Just like with your age, life insurance companies favour clients who lead a healthy lifestyle. The reason for this is very obvious; when you live healthily, you are at less risk of developing health complications and dying from sickness. Hence, you should consider your general health. Find out if you are overweight or are at risk of certain health conditions such as high blood pressure. You should also factor in any medications you are taking. Keep in mind that your health can determine how much your life insurance will cost. If you have poor health, you will most likely be charged with a higher price. Likewise, your lifestyle can determine the costs of your premiums. As implied earlier, life insurance companies tend to favour clients who are less likely to die. When you apply for a life insurance company, you will be required to fill in a form. You will be asked to provide personal information as well as details with regard to how you live. Life insurance companies generally assess how risky your lifestyle choices are. They may even require additional medical information, including your family’s health history. In addition, they may ask you for your driving records. The information you give the life insurance company will determine if you are qualified for a policy and how much you will be charged. So if you want to have lower premium rates, you should avoid participating in high-risk activities such as motorcycle riding and mountain climbing. You should also quit smoking. Take note that a life insurance company may charge you with the same amount it charges a heavy smoker even if you only smoke a few cigarettes per day. Furthermore, the cost of your premium can be determined by your gender. Life insurance companies typically consider women to be advantageous over men when it comes to mortality. This is because certain studies have shown that women tend to live longer than men. So if you are a woman, consider yourself lucky. South Africa has numerous life insurance providers. A healthy young female is most likely to be charged around R255 for her premium.